Like Reese's? You will love these Chocolate Peanut Butter Rice Krispie Balls. Make them as big or as small as you want and perfect for Christmas treats too. It is not possible to make them perfectly round unless you used chocolate that hardens and then dip in melted chocolate. I have not tried that yet. In a pot on low heat, melt the butter, miniature marshmallows, vanilla, butter and peanut butter together until marshmallows are completely melted and mixture has cooked for 2 minutes. Butter a spoon and a large bowl. Place waxed paper on a baking sheet. Add Rice Krispies to the bowl and pour in the marshmallow mixture. Using the spoon, mix well until combined. Cut a few of the Reese's peanut butter cups in half because this will be the center of the ball. Form a ball around the peanut butter cup with the Rice Krispie mixture and set on the baking sheet. Repeat until mixture is gone. Insert a toothpick in each ball and place in the freezer. In the microwave or a double boiler, mix the chocolate sauce ingredients together and melt on low heat. When ready, remove the balls from the freezer and dip each one in the hot chocolate sauce and place back on the waxed paper. 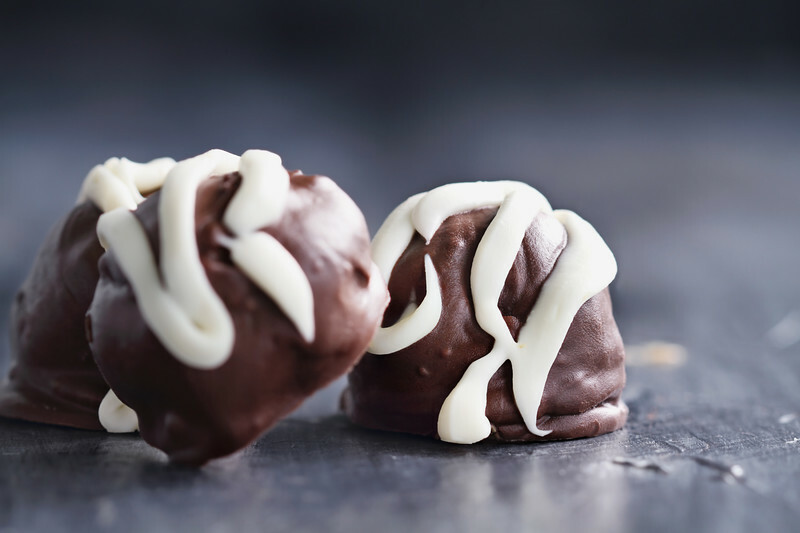 Place in the freezer or refrigerate until chocolate has set up. freeze easily. Change up the flavor and add flaked coconut or your favorite chopped nuts. This recipe is very versatile. 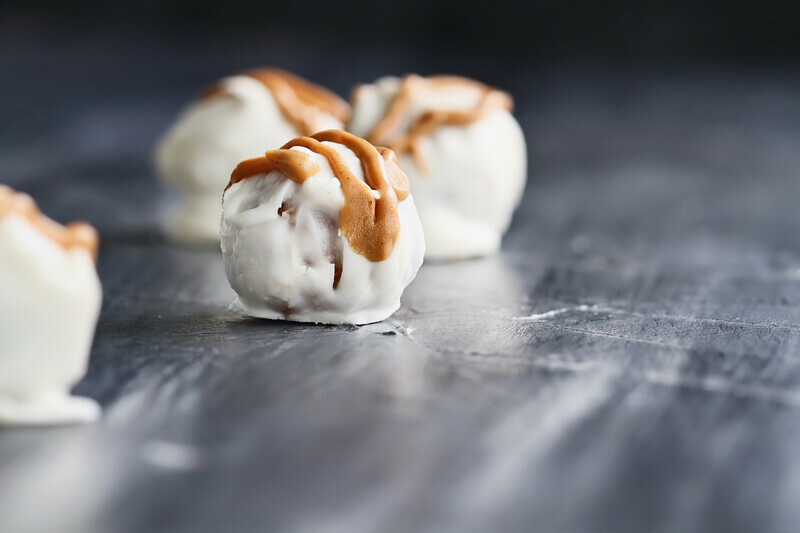 Use Snickers, Butterfinger or Milky Way candy bars instead of the peanut butter cups - make Almond Joy balls. Stick a toothpick in them and have melted chocolate fondue ready for dipping. Cover them in white chocolate with a drizzle of thinned out peanut butter.